Remember the time Apple gave the iPhone a new connector and you had to buy a dongle to use all your old accessories? It's happening again. But worse. 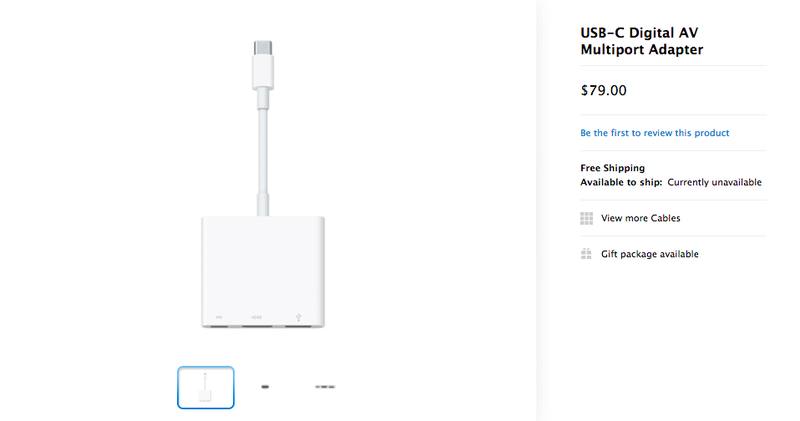 Apple's new Macbook has a do-everything USB type-C connector. That's good! But there's only one on the entire laptop. That's bad! Want to charge your laptop and plug in your iPhone at the same time? Buy a dongle. Want to plug your laptop into an external monitor without relying on battery life? Buy a dongle. Want to do more than one USB-related thing at any given time ever? Buy a dongle. It costs $80 and comes in two flavors: USB Type-C, HDMI and regular USB or the exact same thing but with VGA instead of HDMI. To be fair, USB Type-C is not an Apple thing, so there are going to be plenty of other (hopefully cheaper) adapters. And as more and more laptops move to USB Type-C, a dongle-based future is inevitable at least for a while. That part isn't Apple's fault. What is Apple's fault is that the MacBook only has one measly port, so get ready to get your dongle on. Hopefully one comes with the MacBook? But it doesn't look like it. Buy the dongle. Love the dongle. Dongle is life. Dongle is 80 goddamn dollars.